Toenail Fungus Specialist - Fishers, IN & Anderson, IN: Lawrence E. Lloyd, DPM, FACFAS: Board Certified Podiatrist: Lloyd Podiatry Group, Inc. If your toenails look a little yellow and misshapen or are starting to crumble away, you could have a case of toenail fungus. 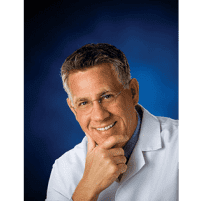 At Lloyd Podiatry Group, Inc., in Anderson and Fishers, Indiana, you can meet with board-certified podiatrist Lawrence E. Lloyd, DPM, FACFAS, who was the first physician in Indiana to develop treatment protocols for fungal nail disease. Restore your clear and healthy nails by booking a consultation today. Request an appointment online or book your exam over the phone. How does toenail fungus develop? As you probably know, toenail fungus develops when fungal invaders come into contact with your skin and nails. The most common cause of fungal nails is dermatophytes — a type of fungi — although in some cases, yeasts and molds cause toenail infections, too. Older adults are more likely to have toenail fungus than younger adults and children, just because of age-related circulation problems and natural nail changes, like brittleness and cracking. These tiny openings can make it easy for fungal organisms to enter your nail bed and cause an infection. You can even wind up with a toenail fungus infection if you visit a nail salon that doesn’t practice proper sanitation techniques. Sometimes, picking or scratching at your toenail fungus can spread the infection to your fingernails, too. Because untreated toenail fungus can lead to pain and permanent nail damage, learn to recognize the symptoms so you can get started on treatment at Lloyd Podiatry Group early on. Do I need to see a doctor for toenail fungus? The most effective and enduring treatment is Dr. Lloyd’s laser treatment protocol, which combines the most advanced laser techniques with topical medications and oral medications for advanced conditions. Exceptional results! See patient testimonials on the practice's YouTube channel, Lloyd Podiatry. Dr. Lloyd is an expert in innovative laser toenail fungus treatments, which are over 90% effective. In as few as three treatments, Dr. Lloyd can destroy fungal organisms and stimulate healthy nail growth with a state-of-the-art laser system. The entire process is virtually painless and performed right in the office. Schedule your toenail fungus treatment appointment at Lloyd Podiatry Group online today. You can also call either location to book your visit.